In honor of International Women's Day, we invite you to read Densho's latest article, on female memories of the incarceration, featuring selections from our digital archive of interviews, photos, and documents. 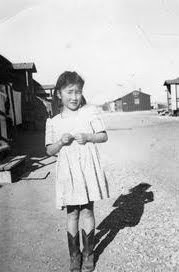 In exploring the theme of power and the historical record, this month's "From the Archive" article concerns the marginalization of Japanese American women's voices in the archive. Japanese American history, with its emphasis on military service and, recently, draft resistance, leaves little room for the stories and experiences of women. Based on a series of oral history interviews, this article explores how memories of the incarceration shaped the lives of four Japanese American women in the years following World War II, illuminating the central, though largely unacknowledged, role of women in postwar Japanese American history. Far from silent, these women, in various ways, all drew on their experiences as a source of empowerment and means for enacting social change.